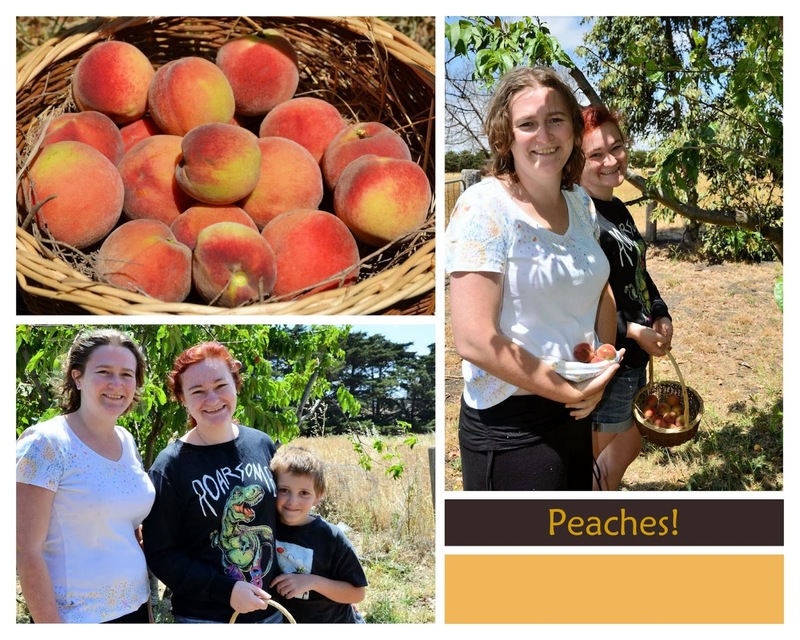 Hamby Home(in)stead ...: Peachy PYOing (in our backyard)! We had a quiet day at home today, slowly unpacking and recovering from yesterday's traveling. I checked on our fruit trees after hanging a load of washing and discovered some were ready. (Nick had spotted a fox climb the same tree very recently, so I've had my eye on it since - keen to enjoy some before the animals ate them all)! 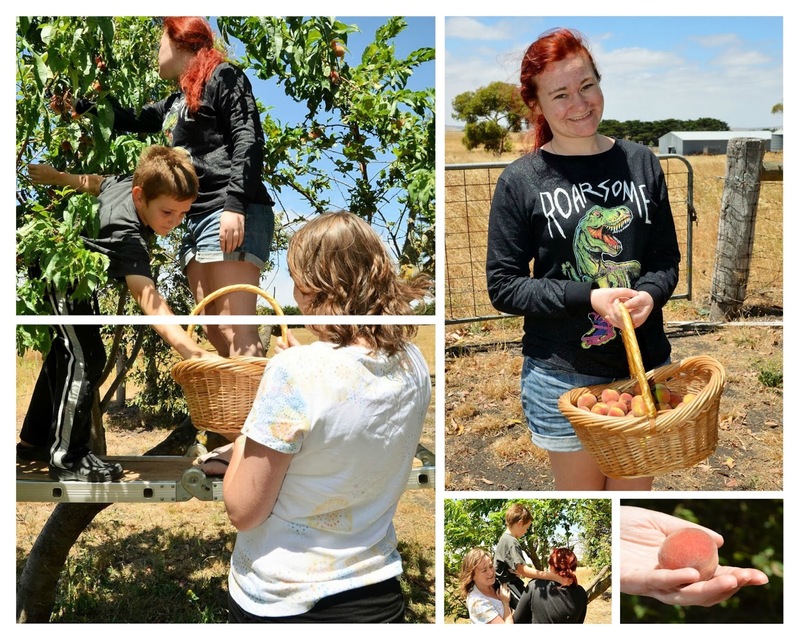 My young assistants were happy to help harvest some home-grown peaches. Once collected, every one guessed the weight before our haul was weighed. 2.6kg! There are more on the tree, so it'll be interesting to see how many we get in total. I made some into a simple peach dessert, baked on the Cobb Cooker. 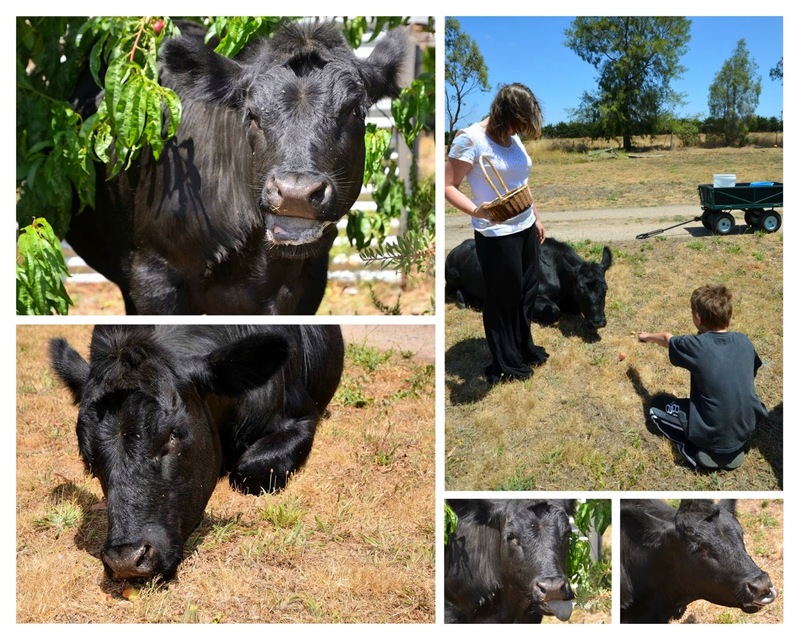 While we were camping, Tea had a holiday with our landlady's cows. Nick brought her home, before our peach-picking began. She was sitting down when Erin and Vaughan offered some of the second-grade fruit. What a sight! She chewed each one thoroughly with obvious enjoyment before very delicately spitting the seed!